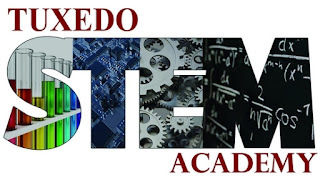 The Tuxedo STEM Academy is hosting an open house on Tuesday, May 10th, to update district residents about the STEM curriculum and how it is integrated into both the high school and primary grade levels. 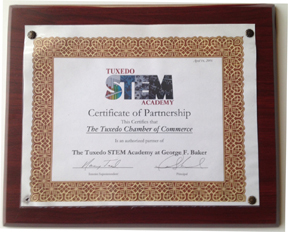 The district hosted the Chamber of Commerce for its April 14th meeting where the STEM curriculum was presented and a partnership between the District and local businesses represented by the Chamber was cemented. Nancy Teed, interim District Superintendent, presented a plaque formalizing the partnership to interim Chamber President, Dale Mottola. Multi-year scholarships are available for students based on academic achievement. Tuition is more affordable than area private schools.